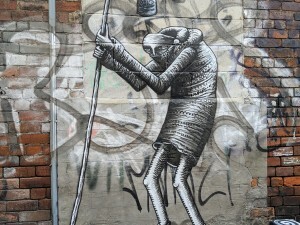 The other week I went over to Manchester to seek out a wall mural painted by Phlegm earlier this year as part of the Cities of Hope festival. 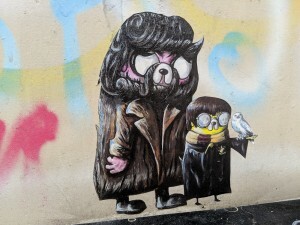 Whilst looking for it I found a number of paintings in Manchester’s Northern Quarter by some of Sheffield’s street artists that I thought I should share here. 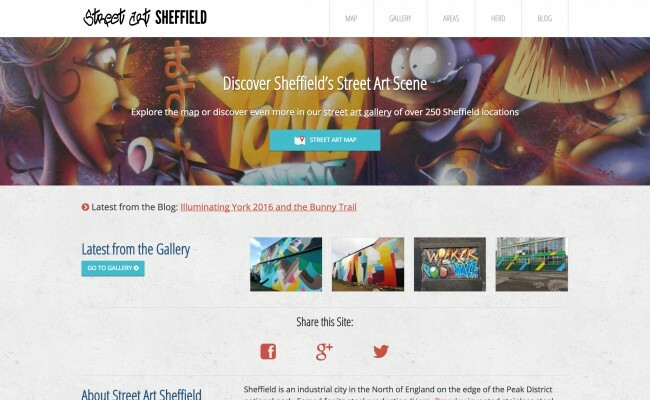 This month marks the second anniversary of the Street Art Sheffield website. 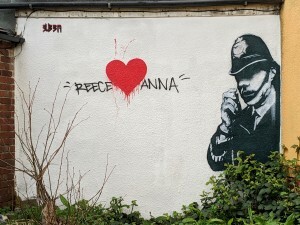 The number of street art locations in the gallery has almost trebled since the site started. So I decided it was time to give the site a fresh lick of paint and attempt to make it easier to use. On Saturday we went on our annual trip to York for the city’s Illuminating York festival. 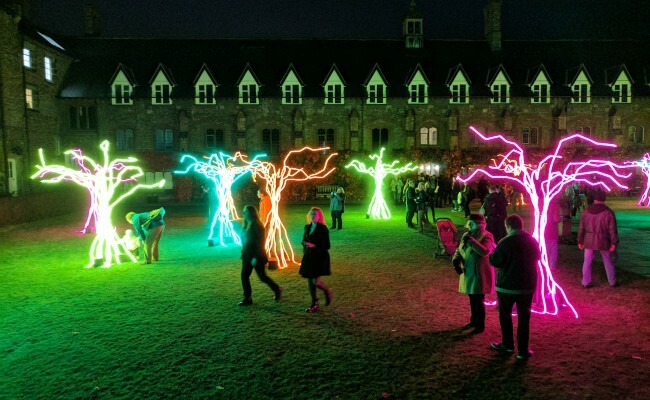 It’s a night time arts festival that runs for several days at the end of October every year which invites artists to use the medium of light. As always it was great fun and there were some amazing things to be seen this year. 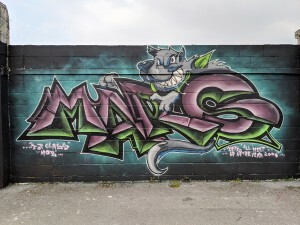 The last couple of months have been great for Sheffield’s street art scene. 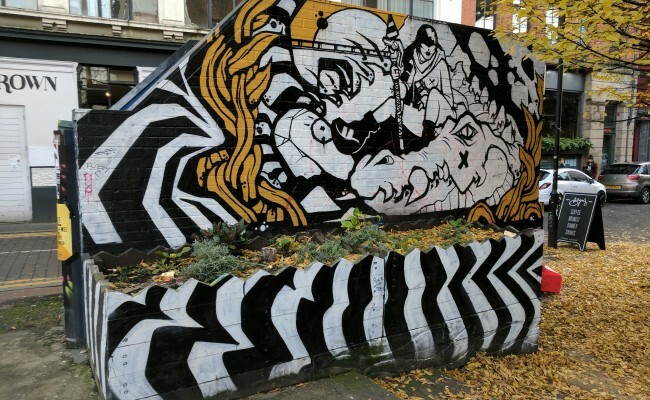 Thanks to the current Feature Walls event as well as the Antiques Quarter Art Project and Festival of the Mind we have seen an incredible number of large wall murals painted across our city. So it really saddened me when I learnt last week that the recently painted Visions of the Future by Rocket01 on Abbeydale Road had been vandalised. Sheffield’s largest public art event The Herd of Sheffield is coming to a close. The elephant sculptures that took part will soon be auctioned off to raise money for The Children’s Hospital Charity. Yesterday I started to share my top 10 elephants of the trail starting with numbers 10 through 6. Now it is time for my top 5. 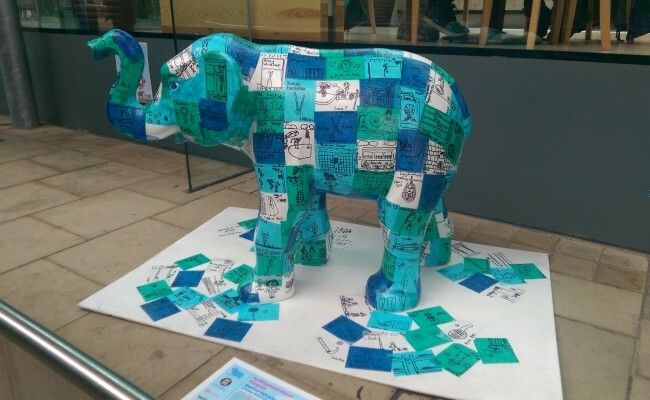 So the summer is over and the elephants that have occupied the streets of Sheffield over the last few months are starting to disappear ready to be auctioned off for charity. I have been following the trail of the Herd of Sheffield throughout the summer months and taking photos of each sculpture with the help of my partner. 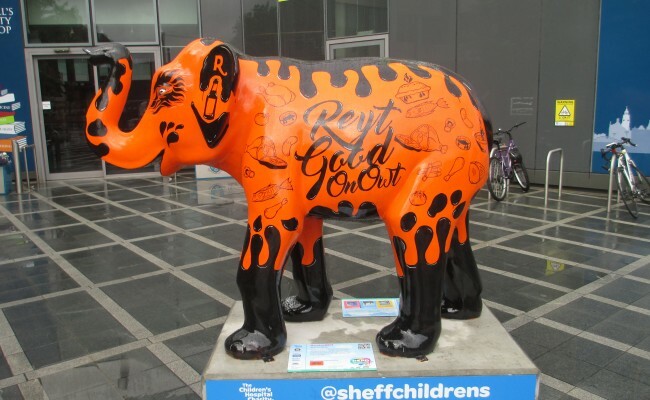 Each elephant has been added to this site’s Herd of Sheffield section to exist as a constant reminder of Sheffield’s largest (to date) public art exhibition. Last weekend we attended the inaugural Hillsfest at Hillsborough Park. A weekend arts festival to showcase and celebrate the creative side of Sheffield. The Herd of Sheffield has Arrived! Today marks the official start of the Herd of Sheffield, a ten week public art event taking place across the city. Throughout the summer Sheffield will be the home of 58 large elephant sculptures and 72 elephant calves. Read The Herd of Sheffield has Arrived! Earlier today on my lunch break I took a wander over to the Winter Gardens where some of the first of the Little Herd of Sheffield have arrived.